The Jesuit order assayed a revolutionary Christian socialism among the Guaraní peoples of Paraguay that challenged the avarice of Spanish colonists and the Portuguese bandeirantes (fortune hunters). This atypical social organization was known as the “reducción” model and took place in the early Sixteenth century (approximately 1607). The religious order reached the area and encountered the encomienda (mandate) system practiced by the Franciscans, who were following the system imposed by the Conquest in its dealings with the natives. The Jesuits were thoroughly opposed to the system, and while the foundations of the reduction system were not a Jesuit invention, its use was a counterweight to the economic system used by the Franciscans. A few kilometers away from this reduction there is a region belonging to the Chaco Province known as Campo del Cielo (due to the large number of meteorites that once fell in the area), making it possible to think that another meteor was involved, but when the document is analyzed word by word, as researcher Antonio Las Heras did in one of his excellent works on the subject, we have no choice but to allow some room for doubt, and the possibility that the object reported was not a meteorite. The object traveled slowly. The words “it was seen to rise in the east” give the impression that it immediately “gained altitude”, thus making it one of the first eyewitness reports of a UFO takeoff in this region, which covers the province of Misiones, near the Brazil-Paraguay border. Without going into detail like this excellent Argentinean researcher has done, we believe that the document in question is a valuable one, providing evidence that we have been visited by the these flying objects over the ages, objects whose point of origin we are hesitant to define. The Paraguayan War was dramatic and harsh, as are all wars. It was a conflict between Argentina, Uruguay and Brazil, with a death toll that rose into the thousands among the belligerent parties. It is precisely at this point in history that we find another significant UFO event in this small nation’s history. When the positions personally detected by Leverger are submitted to trigonometric analysis, it is estimated that the phenomenon must have occurred in the atmospheric region and at a distance of only 59 leagues (203 miles) from Asunción. This is the sworn paragraph of Captain Leverger’s report. Subsequent investigations performed by the witness before the authorities in Asunción ascertained that the sighting occurred in the upper atmosphere just short of 203 miles from the capital city. All inquiries determined that the observation was fully coherent, and therefore of incalculable value. María Virginia Capalló, an Argentinean researcher, engaged in library research to follow up on this event. She determined that this could well be the first journalistic news item to appear on the subject of UFOs, predating even the information appearing in the London “Times” in 1870. Summarizing Captain Leverger’s sighting, we can only say that it is impossible to think that the object seen by the witness could have been something created by the technology available at the time, bearing in mind that aircraft took to the skies at the start of the 20th century and their tests were sporadic. Explanations involving a meteorite or an atmospheric phenomenon don not match the captain’s statement, given the length of his sighting, which was no less than 25 minutes. 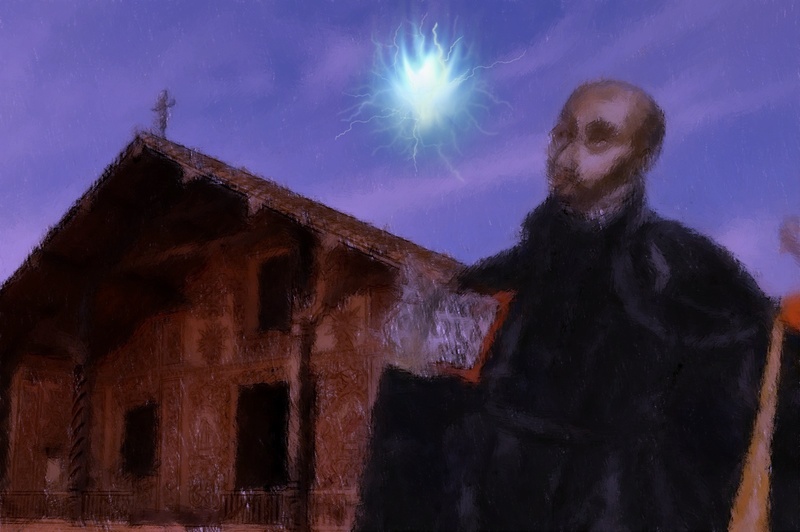 It should not come as a surprise to anyone that the UFO phenomenon has a long history, and we have alluded more than once to documentation from the Spanish Conquest and Church chroniclers who made sightings and unusual phenomena known. This has bolstered our belief that the phenomenon has always been with us, and although its shape may have changed over time, its essence remains the same, no matter what anyone says. 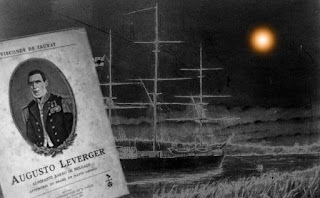 There appears to be a discrepancy in the dates given for the Captain Leverger's sighting on the Paraguay River. This article posits 1866, while Brazil's Revista UFO specifies 5 July 1846, while the future Baron Melgazo was in command of a gunboat during the Paraguay War. This date is further corroborated by the date furnished in the Gazette of the Empire of Brazil ( Augusto João Manuel Leverger, Gazeta Official do Império do Brasil, 26 de novembro de 1846, vol. I, n° 74, p. 295). Our friend and colleague Ronald Maidana Torres's own research gives the brigantine/gunboat's name as '14 de Julio' Complicating matters further, the Paraguayan War took place between 1864-1870, long after the sighting. Capt. Leverger was apparently on an "espionage mission" for the Brazilian crown.